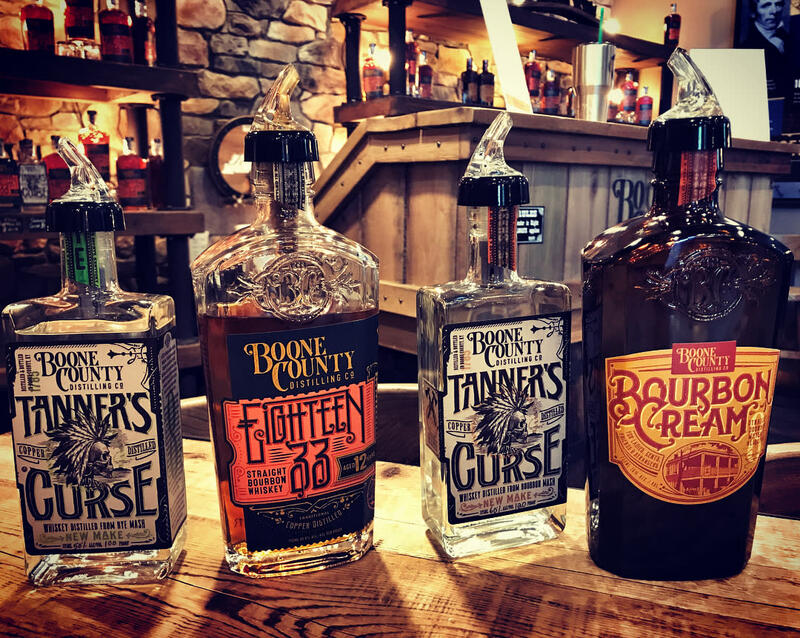 Meet The B-Line: Boone County Distilling Co.
“Made by Ghosts”—that’s the tagline for our next featured stop on The B-Line for good historical reason. Boone County Distilling Co. brings bourbon (and other spirits) back to the region of Kentucky that once produced the most bourbon in the state! More than a hundred years ago, Petersburg, KY was home to the Petersburg Distillery, which at its height of production sold a million gallons of whiskey a year, and was the third largest distillery in the U.S. Prohibition brought a halt to the creation of distilled spirits in Boone County that lasted for more than a hundred years, until Boone County Distilling Co. began distilling there once more. When you sip their 1833 Straight Bourbon Whiskey or their New Make White Whiskey, Tanner’s Curse, you are tasting new bourbon history being made. “Made by Ghosts” harkens back to this area of Kentucky’s storied bourbon past while creating a new future for bourbon in Boone county. 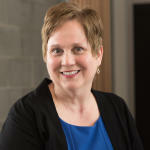 Their passion for our history extends to social media. Check out the Twitter account they run at @madebyghosts. The tweets are all quotes from the renowned “Loder Diary”—the diary meticulously updated almost every day for fifty years by the Clerk at the Petersburg Distillery! 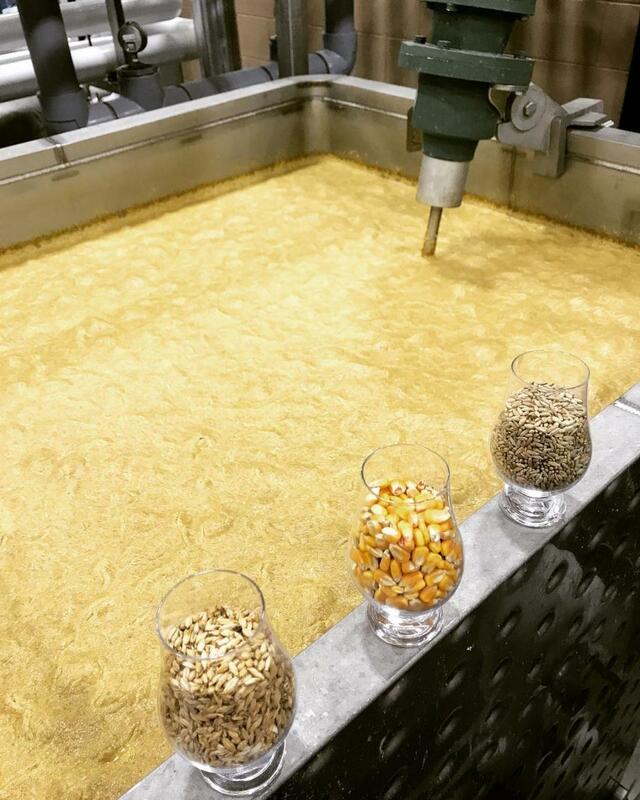 Boone County Distilling Co. is still a couple of years away from releasing their first bourbon—mark your calendars for 2020. In the meanwhile, they offer a variety of spirits, like the aforementioned 1833, Tanner’s Curse, and their award-winning White Hall Bourbon Cream. They also offer a daily tour of the distillery, what they refer to as “a true grain-to-glass experience” including a tasting of their delicious products at the end. 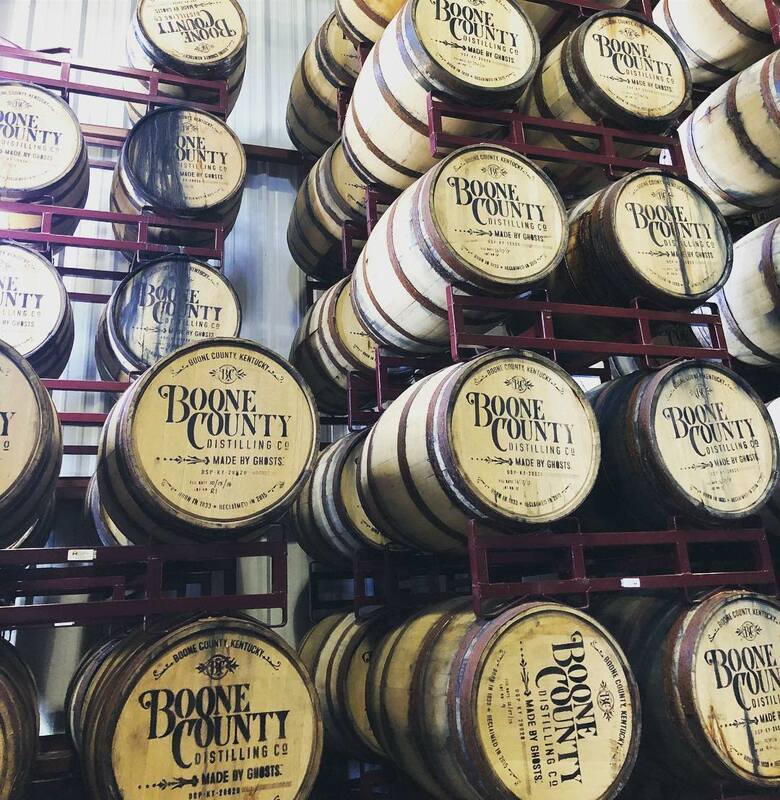 Hope we’ve shown you a tantalizing glimpse of the fascinating history and excellent spirits you can find when you get your B-Line Guide stamped at Boone County Distilling Co.